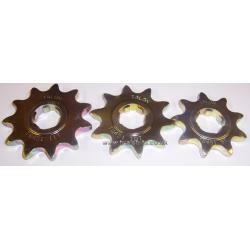 A Talon front sprocket for all of the Sherco trials models from 1998 onwards. Available with 9, 10 or 11 teeth, please choose from the dropdown. The normal fitment is a 10 tooth for 250+ and 9 or 10 Tooth for the smaller capacity models.